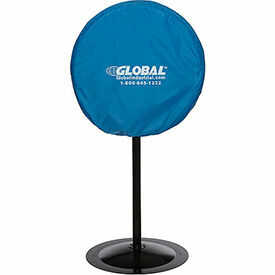 Cover protects fan from collecting excess dust and debris when not in use. Made of Nylon with a draw string to ensure proper coverage and to remain in place. Easy to clean. Your review: I have two outside fans and with a cover they stay clean and rust free when not in use. 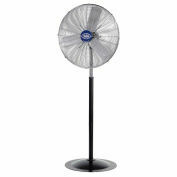 Your review: These covers are GREAT, in fact, I am going to order 2 more for additional fans. They not only have plenty of room to cover the fan portion but also the stand and then they pull together to close up the bottom. LOVE, LOVE, LOVE THEM! Just what I was looking for. I had ordered 2 other fans, they weren't the size they said they would be, they didn't close in the back and they only covered the fan, not the rest of the stand that gets dirty and dusty during the winter. I recommend them highly. Your review: Gets the job done. There are 3 questions and 1 answers for this product. 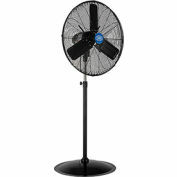 I recently bought a 24 inch hydromist wall mount fan from you. will your fan cover fit a wall mount fan. 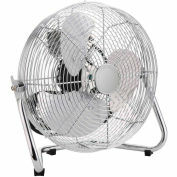 Hello, yes this fan cover is compatible with all 24" - 30" fans provided there are no other obstructions. Thank you for your question.